About Us – Precision Vinyl Systems, Inc. Thank you for visiting our web site. We trust you will find our products to be second to none in quality and our service to be outstanding. Precision Vinyl Systems, Inc. is a wholesaler & retailer of maintenance free vinyl fencing and railing products. 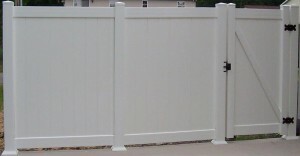 We specialize in manufacturing unique vinyl fence & rail styles and kits for sale to customers. 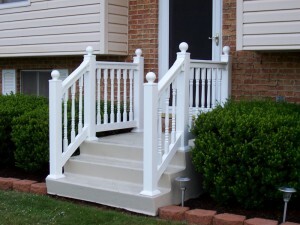 We fabricate vinyl railing to your exact size and assemble it for ease of installation. Our company headquarters is situated in Northeast Pennsylvania. We ship direct from our factory in Pennsylvania to your job site or you are welcome to pick up at our location. Shipping usually is within 1-2 weeks. We accept Visa, Master Card and Discover and have the ability to process orders over the “Web”, or over the phone. All of our orders come with complete installation support including written installation instructions, and free telephone technical support to ensure that your fence or railing is installed correct. Our goal is to provide to you the very best warranted vinyl fencing in the industry, superior customer service and support, and cost saving to you. Wide Array of Vinyl Products. We carry over 100 different vinyl fence styles and vinyl railing products. In addition to vinyl we stock a full line of chain link fabric, pipe & fittings. We also sell aluminum fence & railing, composite decking & railing. To get a quote on our products, simply browse through our products, select the products you wish to get a price on and contact us for a free quote. Thanks again and enjoy your experience at PRECISIONVINYL.COM.